This year the businesses within the Sheffield Region were assessed on who had the best brand within the area. One key factor of determining the success of each local brand was their web branding effectiveness. Not just Sheffield Businesses were assessed but also local authorities and any organisation with a significant web branding presence within the city. Aside from web branding effectiveness, all organisations were also assessed within the following areas. These included Web Presence, Brand Recognition and Branding Design. Brands matter because they’re what people base their decisions on. Decisions about who to do business with and what to invest in. Brand is the interface between product and consumer. The Web Branding Assessment will take place next year again (2011). Next year’s Best Brands of the Sheffield Region will take the form of a public vote system. 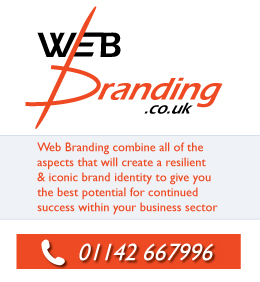 The Best Brands were based on Web Branding, Web Presence, Brand Recognition and Branding Design within the Sheffield Region are as follows. 1. Henderson’s Relish (Sheffield) Ltd.
Persistence Works, 21 Brown St. Timber Wharf, 16-22 Worsley St.